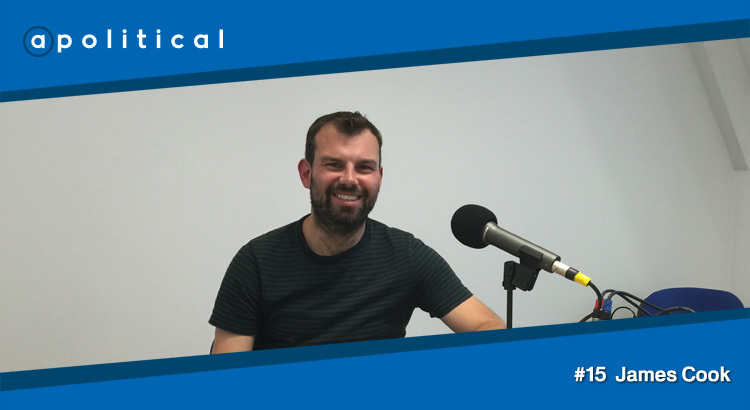 In Episode 15 of Apolitical we speak with James Cook, until recently the Scotland Correspondent and now Los Angeles Correspondent for BBC News. We chat about his experiences covering the Independence Referendum in 2014 and the General Election in 2015; allegations of bias in BBC reporting; and the things he’ll miss about Scottish politics when he heads to California. • The things he will (and won’t) miss about covering Scottish politics. “Absolute chaos” in St. Enoch Square!